I write on subjects ranging across anatomy, embryology, evolution, and archaeology. For hundreds of thousands of years, our ancestors depended on wild plants and animals. They were hunter-gatherers, consummate survival experts, but taking the world as they found it. Then a revolution happened – our ancestors’ interaction with other species changed. They began to tame them. The human population boomed - civilization began. In my new book, Tamed, I uncover the amazing deep history of 10 familiar species with incredible wild pasts: dogs, apples and wheat; cattle; potatoes and chickens; rice, maize, and horses – and, finally, humans. Tamed is an epic story, encompassing hundreds of thousands of years of history and archaeology alongside cutting-edge genetics. 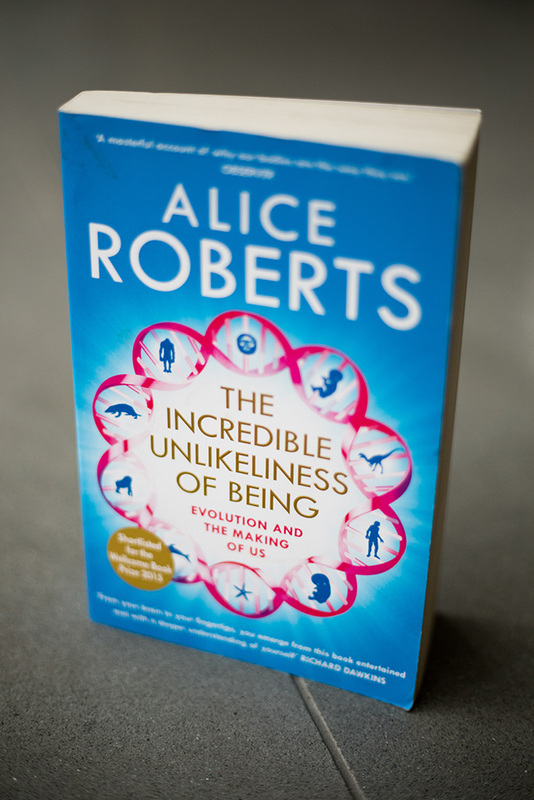 I reveal how becoming part of our world changed these plants and animals and I show how they became our allies, essential to the survival and success of our own species – and to our future. It’s the closest we ever come, as humans, to a transformation as profound as that from a caterpillar into a butterfly: in the first two months of our existence, each of us changed from a single cell, a fertilised egg, into something that looked recognisably human. During that development in the womb, there were echoes of an ancient past - of earlier stages of evolution. Millions of years of evolutionary history have left traces in each of us: you just have to know where to look. In this TV tie-in to the major BBC Two series, I reveal the latest archaeological and linguistic insights into the ancient Celts and their international legacy today. Going in search of the real Iron Age Celts took me on a journey across Europe and back in time - to a world where battles were fought with the mighty Mediterranean empires, where warriors were worshipped as gods, and where princes and princesses were buried with dazzling gold treasure. I wanted to find out more about the Celts: where they came from, their lives, their art and technology, their knowledge and beliefs. But I also wanted to try to understand the relevance of the Celts today, for modern identity. How did we get here? Following a trail of clues from the latest scientific research, I re-trace the migrations of our Stone Age ancestors. Thousands of years ago, a small group of modern humans crossed out of Africa and into the unknown. Their descendants faced baking deserts, sweat-soaked jungles and frozen wildernesses - and risked everything on the vast empty ocean. Within 60,000 years they colonised the whole world. The definitive guide to the development, form, function, and disorders of the human body, beautifully illustrated with computer-generated artworks and the latest medical and microscopic imaging. Exploring human anatomy and physiology in greater depth than any other popular reference book - from skeletal and muscle structure and activity to motor pathways within the brain - The Complete Human Body will have great appeal to students and a broad range of healthcare professionals, as well as families. Travel back 8 million years with Evolution: The Human Story and discover how our species has developed from tree-dwelling primates to modern humans. This is the first time that the story of evolution has been documented in such amazing visual detail thanks to the work of renowned Dutch paleoartists, Kennis and Kennis. Staggeringly realistic CGI and model reconstructions from original fossils bring us face to face with our ancestors, portraying them as never before. Evolution: The Human Story is packed with all the latest discoveries and profiles every human ancestor to date from Ardipithecus ramidus to Homo floresiensis. An essential read for anyone fascinated in finding out where we come from. Don't Die Young was my first book and it has stood the test of time. I wrote it to accompany the major BBC Two television series of the same name. It's an introduction to human anatomy and physiology, organ by organ. From the beating chambers of the heart to the coiling tunnels of the intestines, I explain how the body is put together, how it works, and how to keep it in tip-top condition. This is a no-nonsense guide which should also equip you to treat any advice from self-styled health and diet gurus with very healthy scepticism!